TIME FOR RACIST PORTUGUESE IN CANADA & U.S.A. TO SHUT UP! "A social scientist found, via his extensive research, that Portugal is in fact the most racist place on earth; especially toward African blacks! It's as if they have never seen a black person before and the Portugee culture is not only backwards (as if you steped into a time machine and went to the year 1899) but the citizens where exceptionally ignorant as well. It was as if you were talking to a wall rather than a human being. 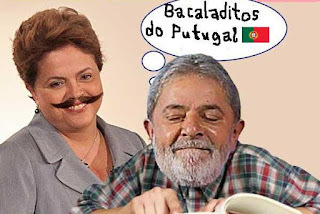 The Portuguese also seemed to be trapped in another dimension of space and time because they kept on talking and mumbling about the past rather than the present...it was pretty sad actually. I found another website that offers a Dr.'s opinion about the racism in Portugal and why the xenophobic culture is not just promoted within VIA A MULTI-GENERATIONAL PLATFORM (passed down from one generation to the next) but also exported to everywhere else they may be living. Strange since i've never heard of racism being described that way before? The social scientist also argued that the Portuguese are experts in racism, especially in Canada and the U.S.A."
The Portuguese are anti-Spanish, anti-Angola, anti-Mozambique and anti-Brasil racists! Say NO to Portuguese XENOPHOBES everywhere on the planet! DON'T do business with them in any way, shape, or form! A respected British journalist recently stated,"The Portuguese economy is in the toilet, and droves of it's citizens are fleeing to neighboring Spain to work just to put food on the table! Those who don't go to Spain are swimming, or jumping on bannana boats to go to Angola or Mozambique just to sell their body for cod to feed their families. The slightly better off portugee are flying to Brasil to live in a favela that is much better than the poor, decrepid conditions they live in now; at least here they can eat. It is Highly Recommend that all those who are the 'victims of constant Portuguese Racial slurs' unite and Veto these pathetic Racists, and multi-generational backward people. Attempt, if you can, to make them understand that this form of Racist behavior is NOT acceptable nor tolerated in today's modern society." 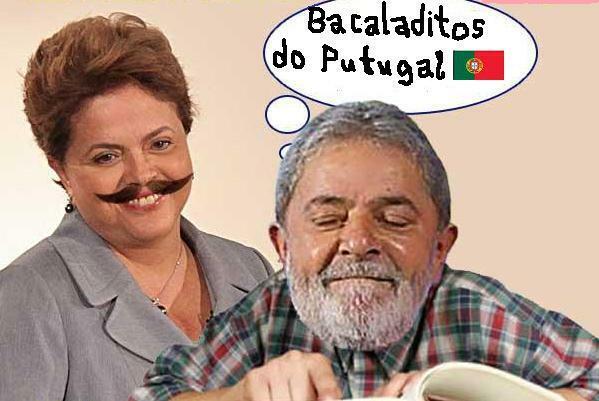 A chronically unemployed Portuguese man stated, "Portugal e uma merda! Nao trabalhos pa os Velhos e os Jovems! A economia é lixo! E racismo puro e muito desgraciado! ORGULHO E IGNORANCA DO PORTUGAL E NOSSO PATRIMONIO! E verdade e verdade!" NOBODY SEEMS TO RESPECT OR TAKE SERIOUSLY THE COUNTRY OF PORTUGAL ANYMORE. NOT EVEN TODAY'S PORTUGUESE YOUTH! PORTUGAL IS NOW THE WORST PLACE TO LIVE ON EARTH. EVEN ALBANIA IS BETTER; AT LEAST IN ALBANIA YOU CAN WORK AND EAT. IN PORTUGAL THERE ARE NO JOBS, MORE THAN HALF THE POPULATION IS POOR, AND THE ONLY PLACE WHERE YOU CAN GO EAT IS AT THE SOPAS DOS POBRES. THE SOPAS DOS POBRES IS THE ONLY PLACE TO EAT FOR MORE THAN HALF THE COUNTRY! CHILDREN DIE DAILY IN PORTUGAL BECAUSE THEY HAVE NO FOOD TO EAT DUE TO EXTREME POVERTY, THEY CAN ONLY EAT AT THE SOPAS DOS POBRES TO SURVIVE! THE TRUTH ABOUT ALL THE CITIZENS LIVING IN POVERTY IN PORTUGAL! PORTUGAL:A COUNTRY WITH NO JOBS-JUST DESPAIR! PORTUGAL:NO JOBS-JUST RACISM AND XENOPHOBIA TOWARD ALL NON-PORTUGUESE LIVING THERE! PORTUGAL E O TERRITORIO MAIS POBRE DE TODA A PENINSULA IBERICA!!! 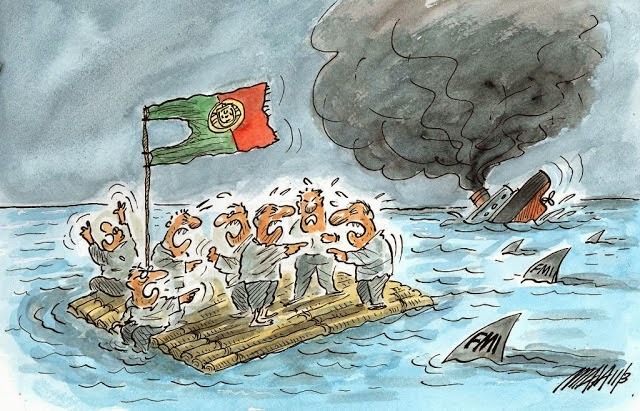 PORTUGAL:THE QUIETEST CATASTROPHE IN GLOBAL ECONOMIC MEMORY! HOW BRITISH REALLY TREAT THE PORTUGUESE! *BRITISH DON'T WANT ALLIANCES WITH PORTUGAL ANYMORE! PORTUGAL HATES BLACK PEOPLE-BOYCOTT TRAVEL TO PORTUGAL IMMEDIATELY! The information presented herein is based on compiled third party facts within the World Wide Web. They do not represent the ideas, writings or opinions of the Webmaster, or blog holder, etc. Thus, we are not responsible nor liable for any damages incurred whatsoever during or after reading said materials. Do NOT shoot the Messenger, and read information at your own risk since this is HOW Portugal is viewed by others on Earth who are also entitled to their own opinions just like you are.